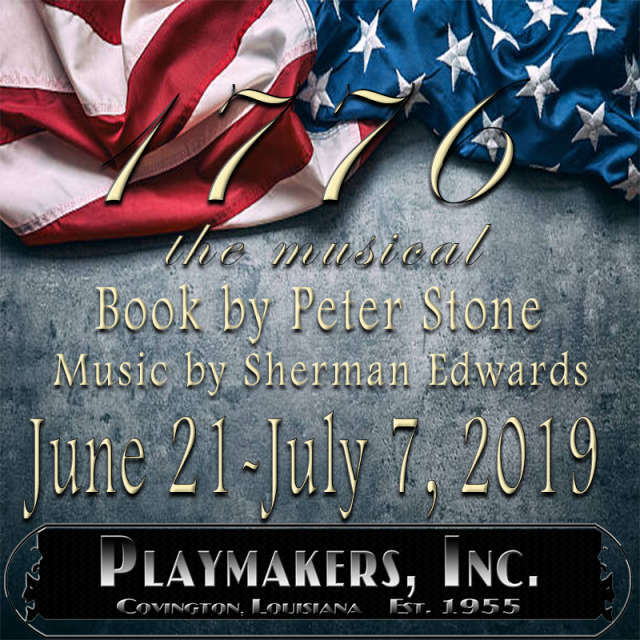 Playmakers brings its 64th season to a close with the Broadway hit 1776, June 21 to July 7, 2019. 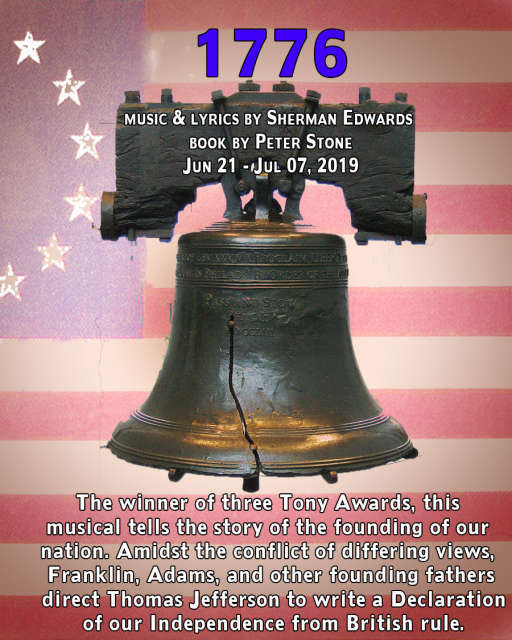 The winner of three Tony Awards, this musical tells the story of the founding of our nation. 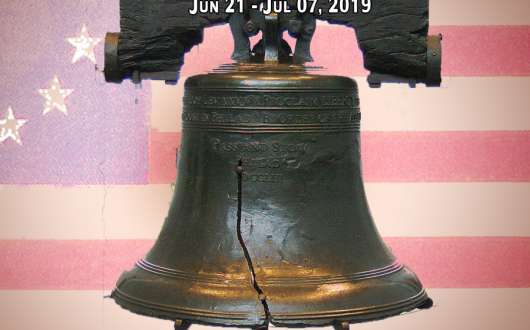 Amidst the conflict of differing views, Franklin, Adams, and other founding fathers direct Thomas Jefferson to write a Declaration of our Independence from British rule. 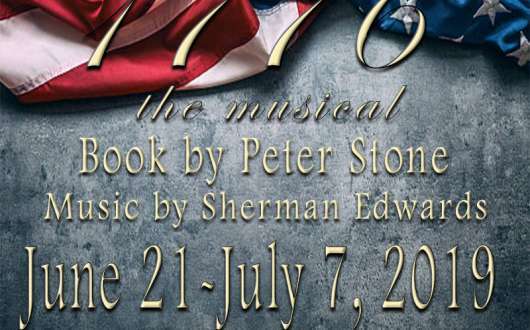 Music and lyrics by Sherman Edwards and book by Peter Stone. Performances are 8pm Fridays and Saturdays and 2pm Sundays. Tickets are $30 for adults, $20 for students. Playmakers now has reserved seating! Pick your seats and buy tickets at www.playmakersinc.com.